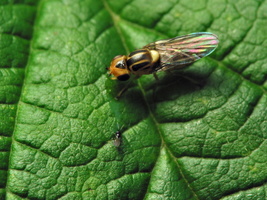 Chloropidae is a family of flies commonly known as frit flies or grass flies. 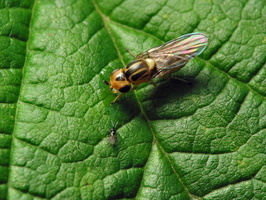 These are usually very small flies, yellow or black and appearing shiny due to the virtual absence of any hairs. 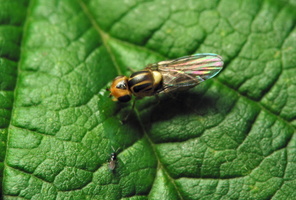 The majority of the larvae are phytophagous, mainly on grasses, and can be major pests of cereals.